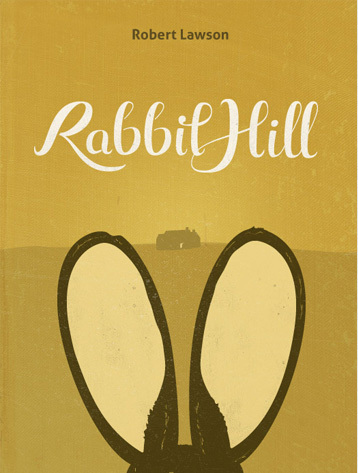 “Rabbit Hill” is one of the first books I can remember reading and as such it holds a special place in my heart. As you might imagine thinking about the story brings back feelings of nostalgia and warmth witch I tried to imbue into my re-covering of this children’s classic. The “Rabbit Hill” is hand lettered by myself and has been through many rounds of tweaking and revision (and could probably use a few more). The simple illustration is also my own and in a few ways sums up the book in one image. I hope you enjoy this cover half as much as I enjoy this book.